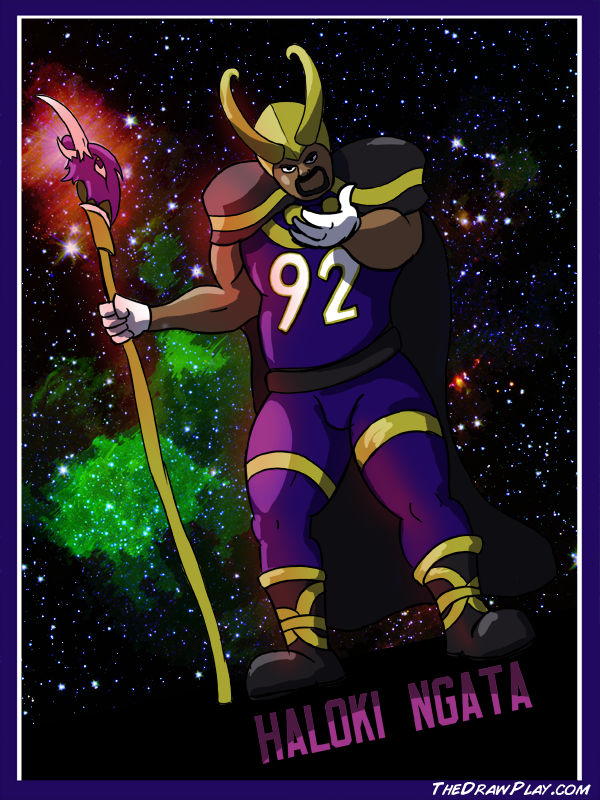 With the news of RG3 being a “Superhuman” I got to thinking what if there were already superheroes in the league, and they had horrible puns for names? 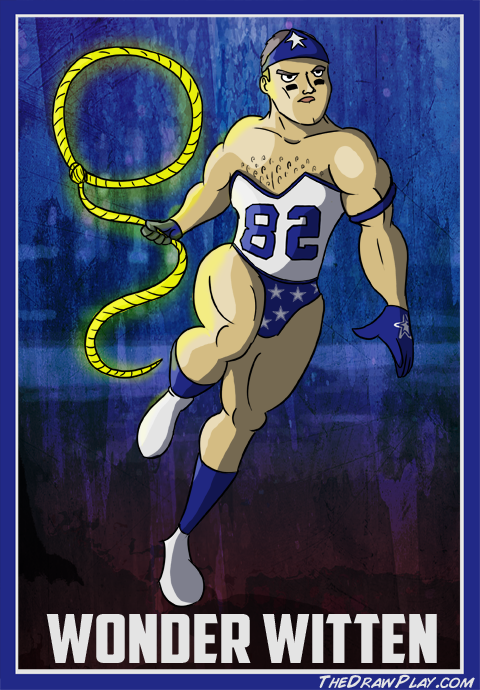 Then I decided to draw some, because society needs NFL players as superheroes with bad puns for names. 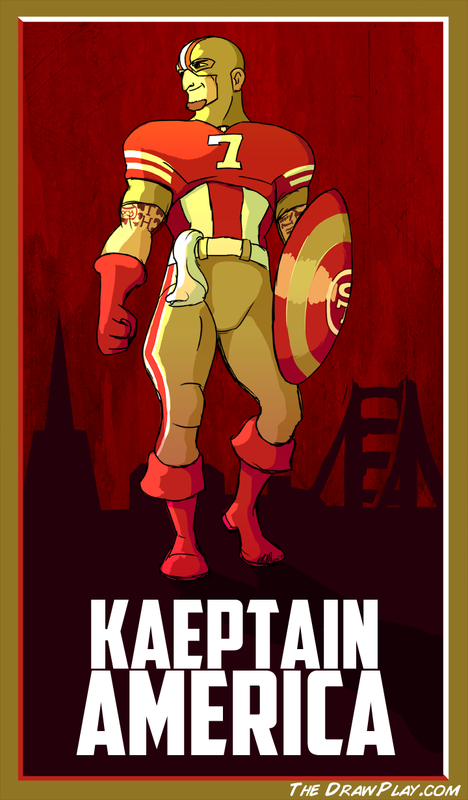 Especially if it’s weird fanart of superhero players with bad puns for names. This is the internet age, it just makes sense. This is apparently the first batch of players, as David has plans to create even more in coming weeks. 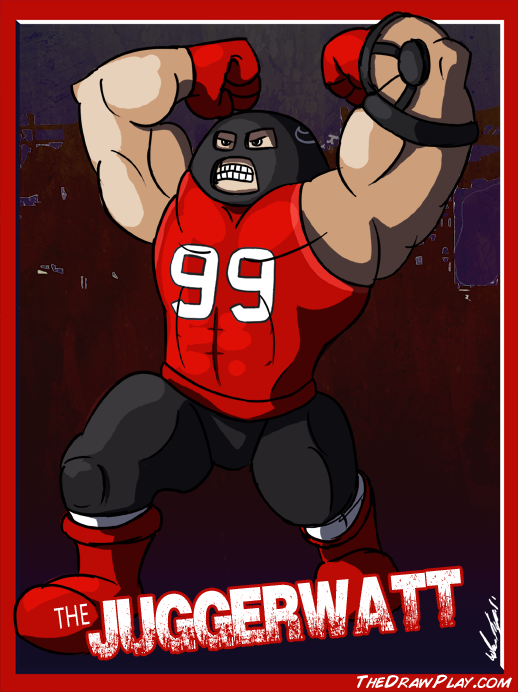 You can find more of his work at “The Draw Play” which is his Football Comic Website.